Operationally the administration office is under the Director and managed by Assistant Director for Programme as well as Assistant Director for Administration and Finance, the support staff 4 persons. 11 training/class rooms with moveable partitions which can be change into a larger seminar/meeting rooms. Each training/class rooms can accommodate 25-30 persons- In Addition to those class rooms and meeting rooms, rooms are also available for lectures. 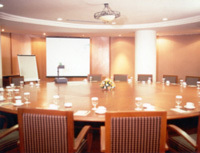 CSSTC has one round table meeting room which can be used for specific meetings. One Convention Hall which can accommodate 100-150 seated delegates or can be converted into dining hall which can accommodate 500 guests. CSSTC has 68 bedrooms for accommodations. 52 bedrooms with double beds and 16 single bedrooms. 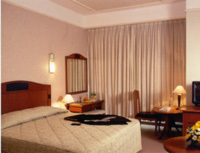 Sports facilities include one tennis court, a swimming poll and a fitness centre. One restaurant which is located on the ground floor can accommodate approximately 60 guests.